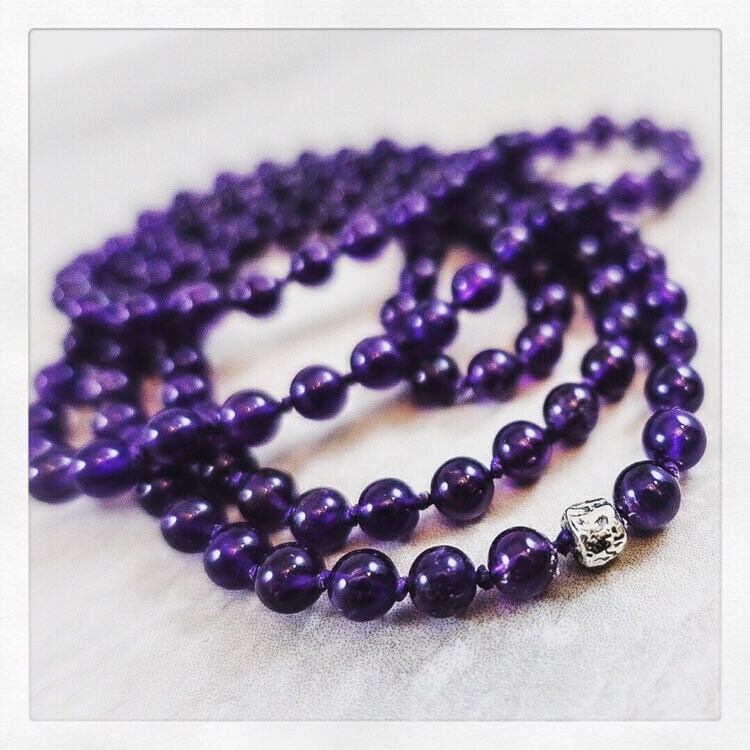 Amethyst’s properties are ideal for those seeking confidence, balance, inner peace, and strength. 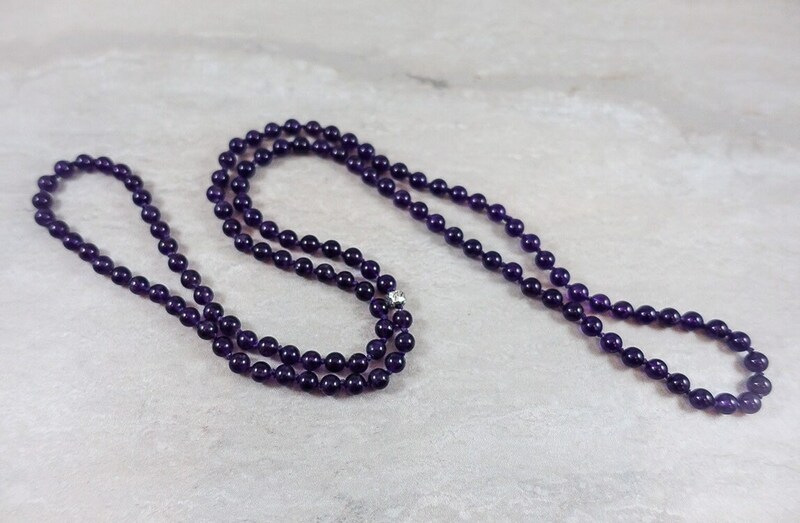 Wear this necklace to feel powerful and unstoppable, and be fearless in every aspect of your life. 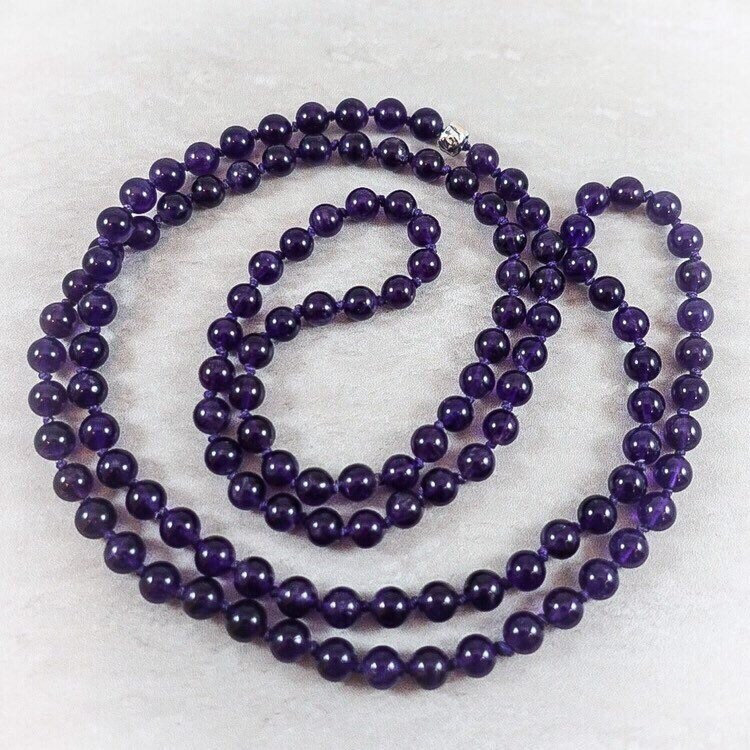 Magnificent, smooth, deep purple amethyst beads are separated by hand-knotted plum-colored Irish linen. 36 inch length, priced at $165.